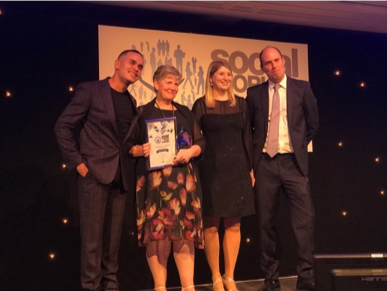 What a fantastic celebratory evening at the Social Worker of the Year Awards on Friday 30th November in London. 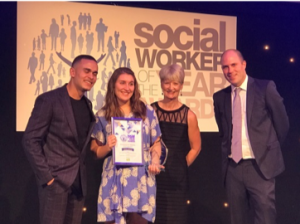 Social Workers all over the country work tirelessly to help and support vulnerable children and families and it’s fantastic to see their hard work acknowledged and celebrated at such a prestigious national awards event. 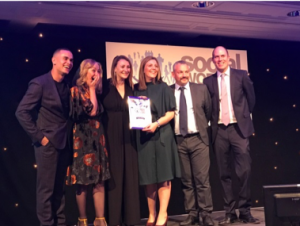 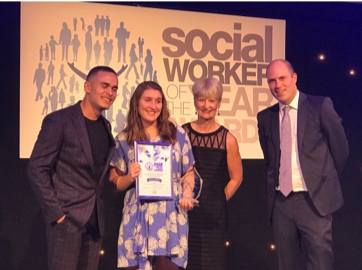 Children’s Social Work Matters were proud sponsors of the ‘Newly Qualified Children’s Social Worker of the Year’ category, for which gold and silver awards were won by social workers in our region – how brilliant is that! The event was kicked off by Peter Hay CBE, chair of Social Work Awards before handing over to Ashley John-Baptise, care leaver and now BBC presenter. 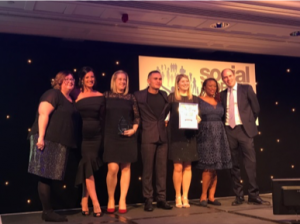 Ashley thanked social workers for all their hard work, saying that without his social worker, who took him to an open day at Cambridge University, he would never have gone as he didn’t think that ‘someone like him’ could get in. 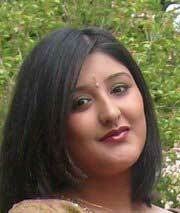 Not only did he secure his place at the University but passed with a 2:1 degree in history – what a great achievement Ashley.